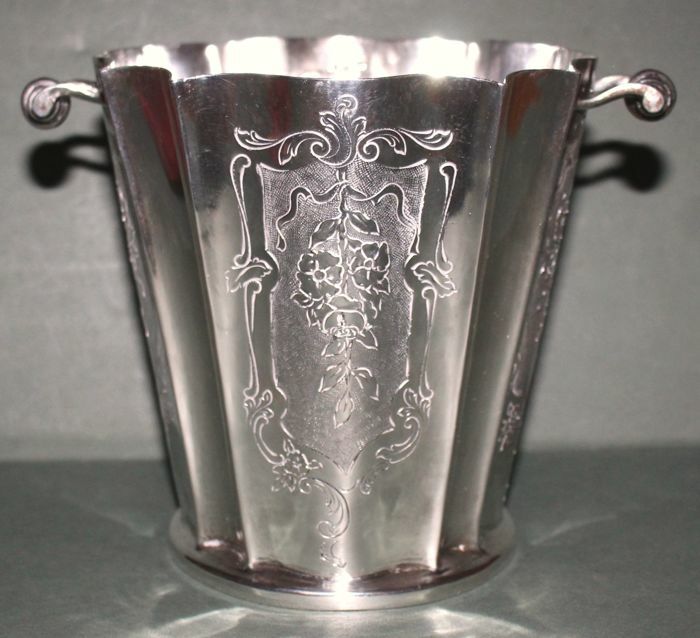 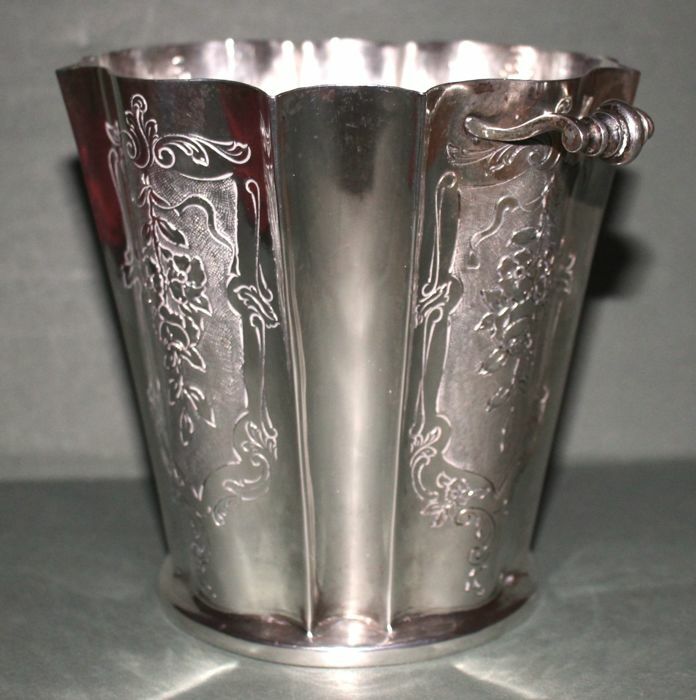 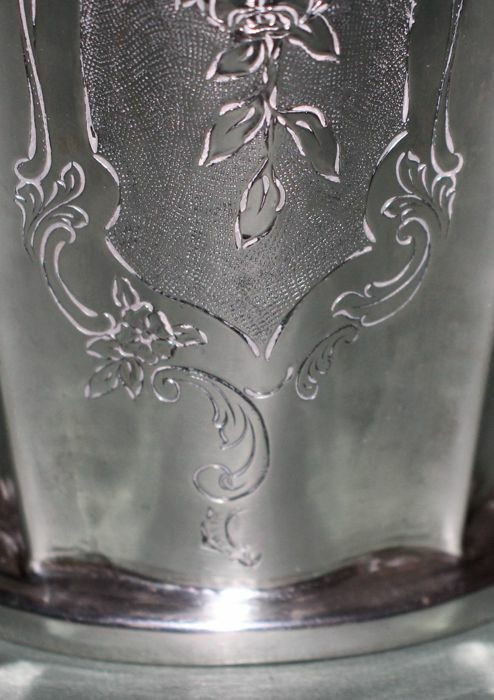 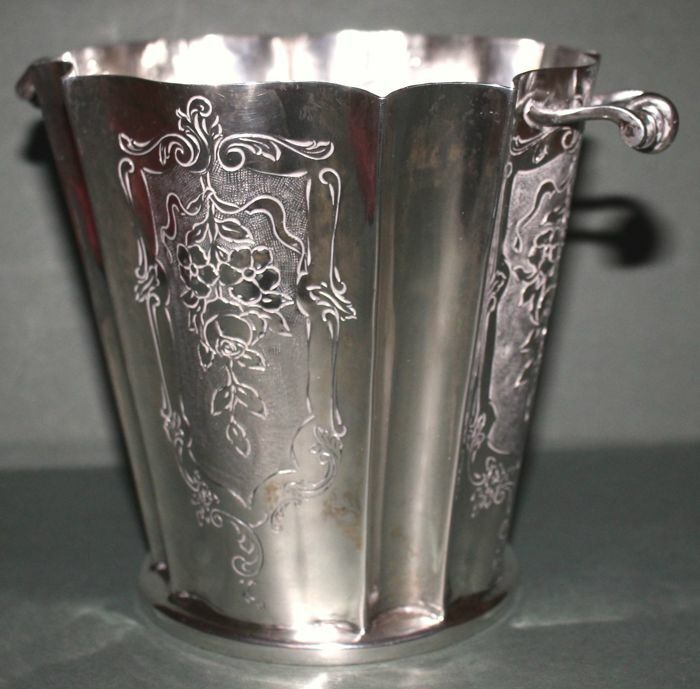 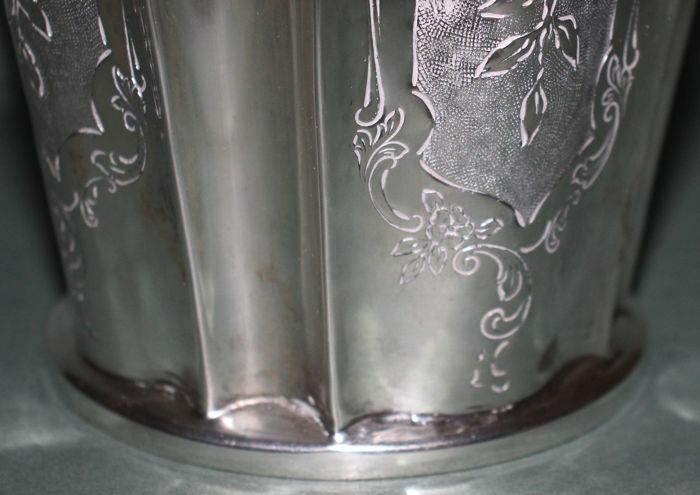 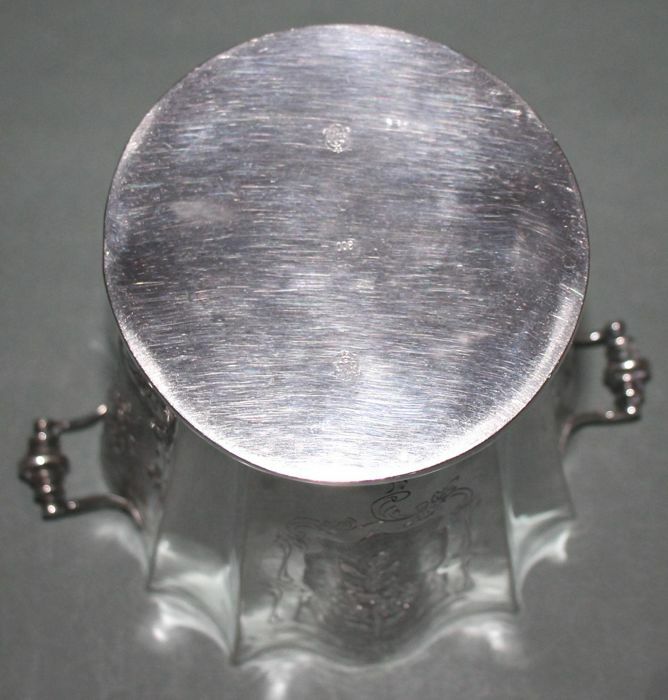 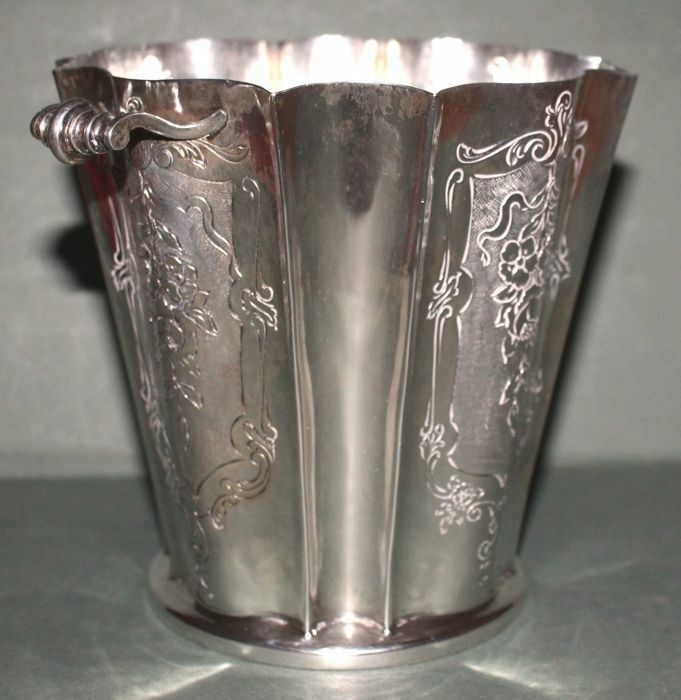 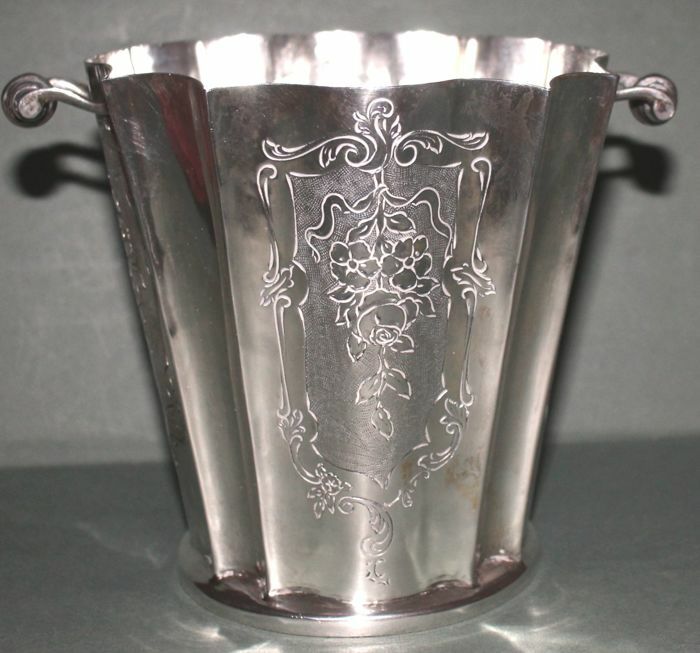 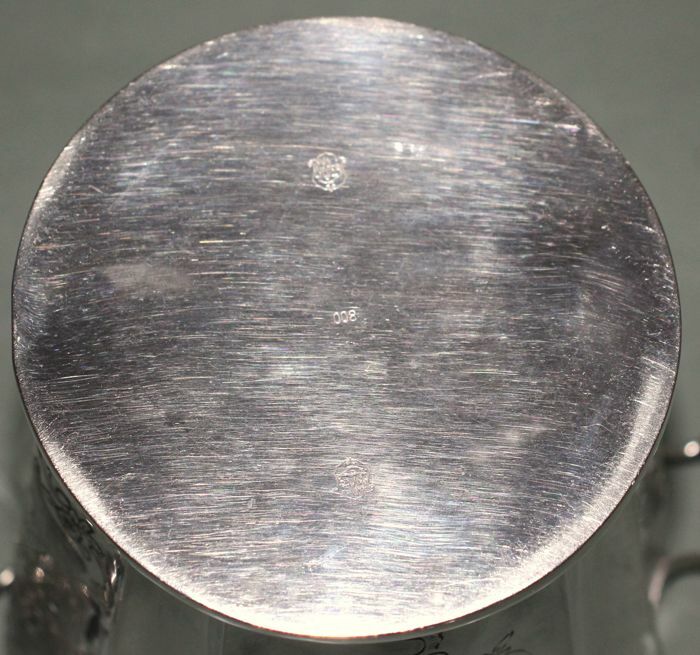 Unique ice bucket in silver 800, made in Italy, second half of the 19th century. 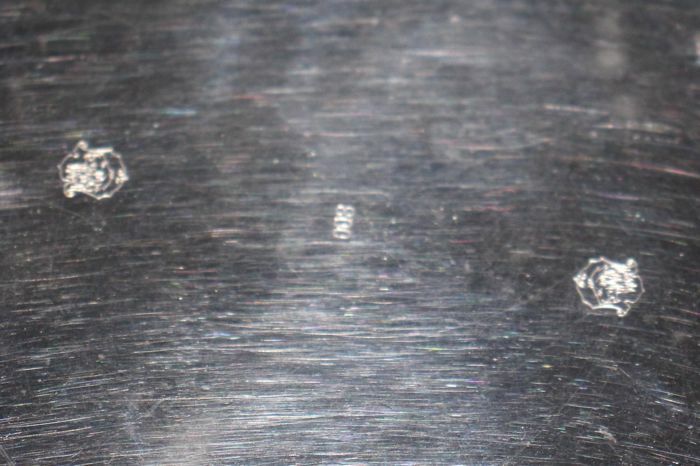 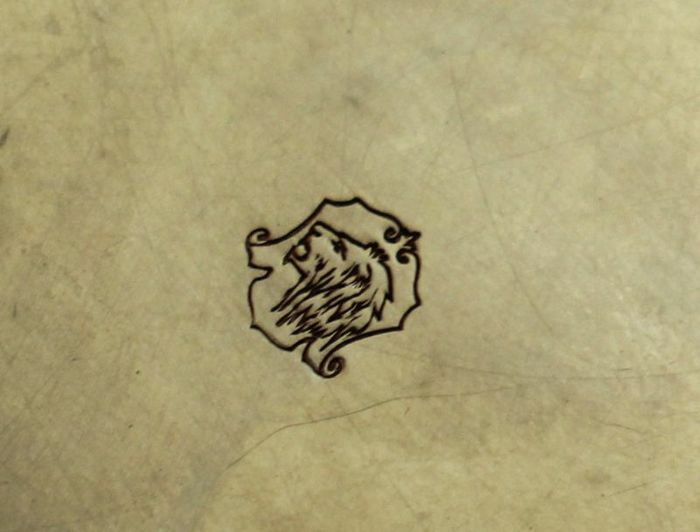 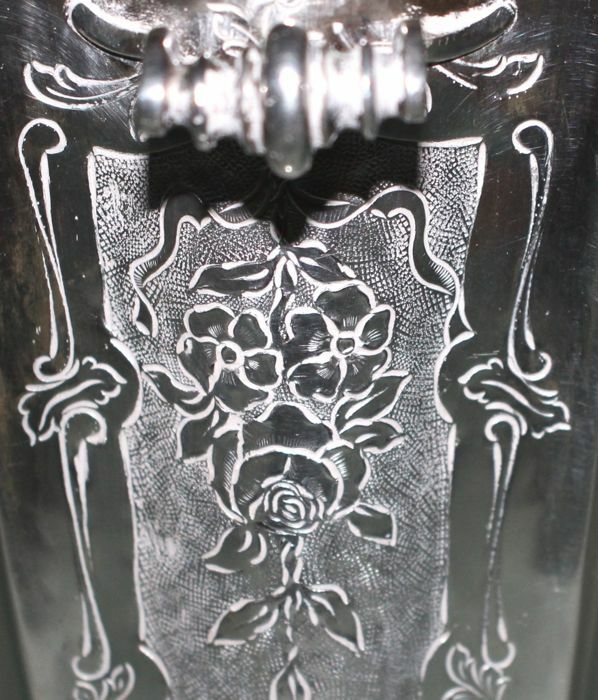 Double hallmark at the bottom, with lion head, probably attributable to the Mint of Turin. 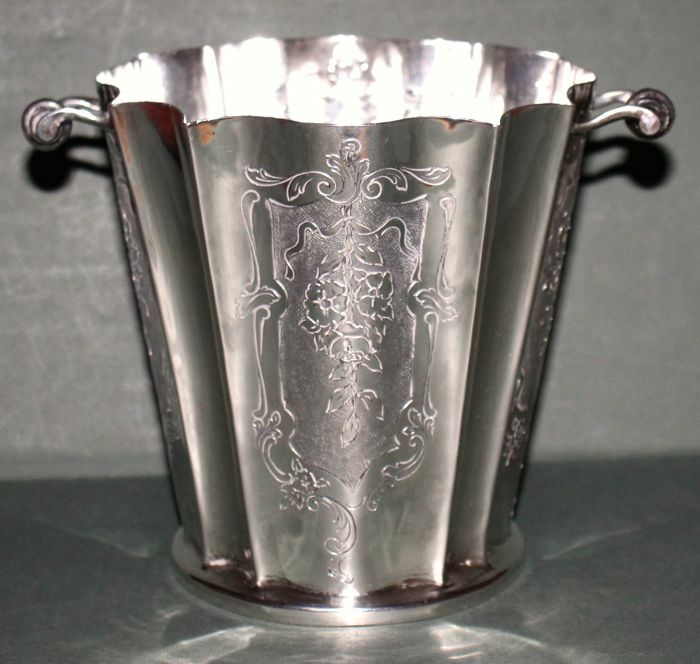 Silver title hallmark: 800 in free outline. 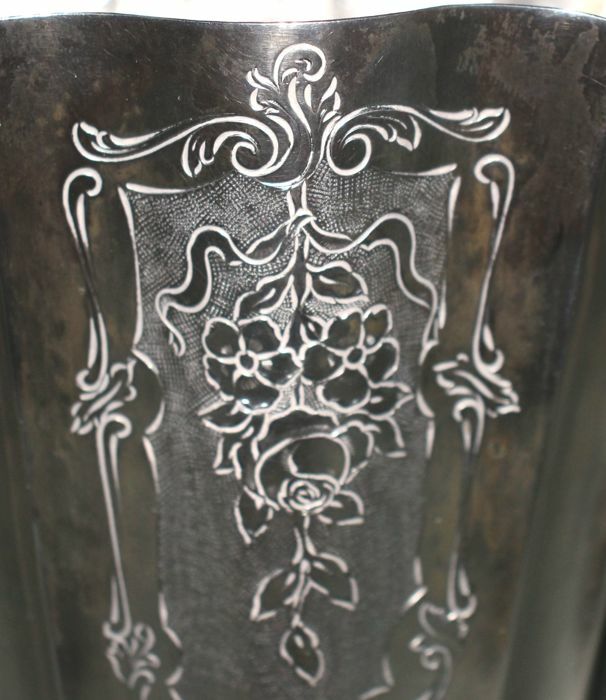 Entirely hand-wrought with engraved coats of arms. 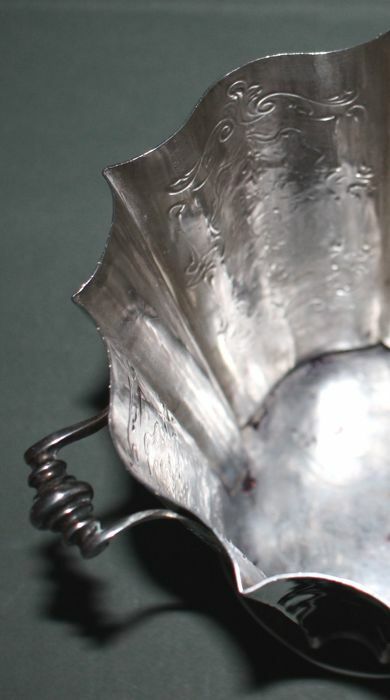 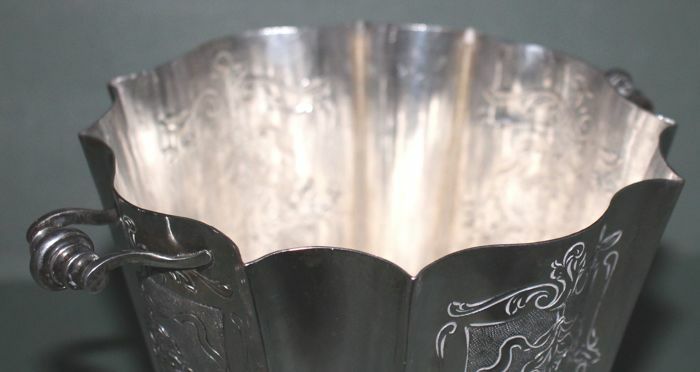 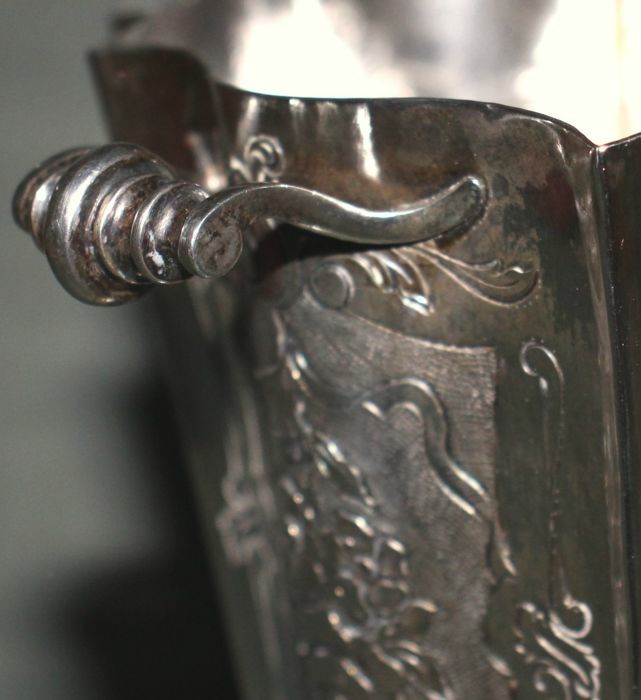 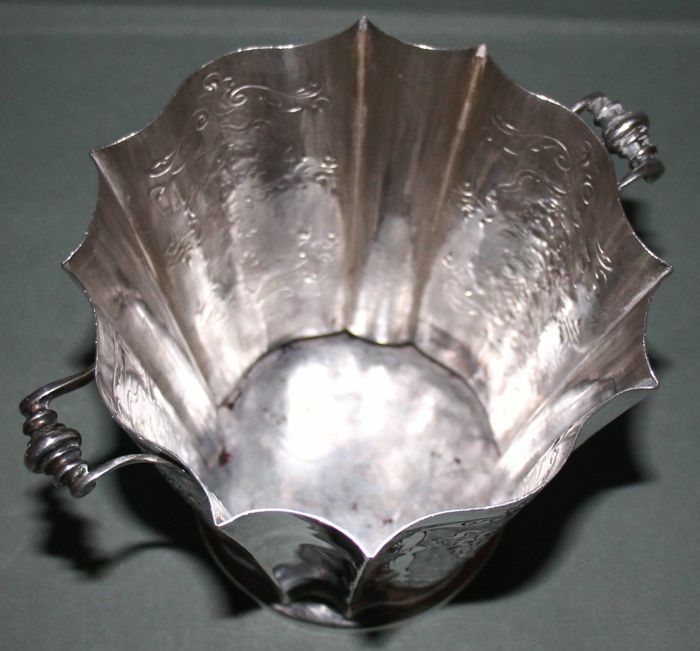 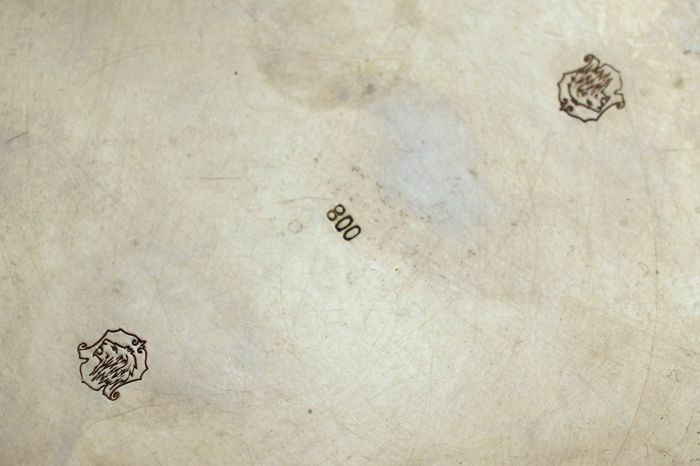 Detail Bucket in 800 silver, produced in Italy in the second half of the nineteenth century. 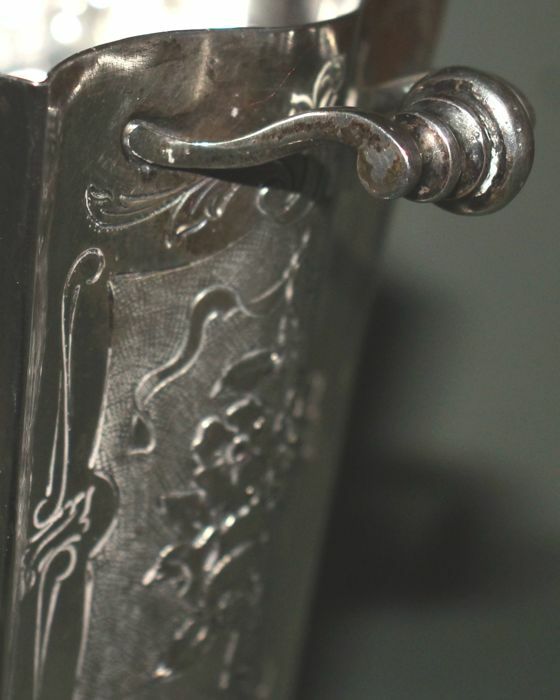 Double punch on the bottom with a lion's head, probably due to the mint of Turin. 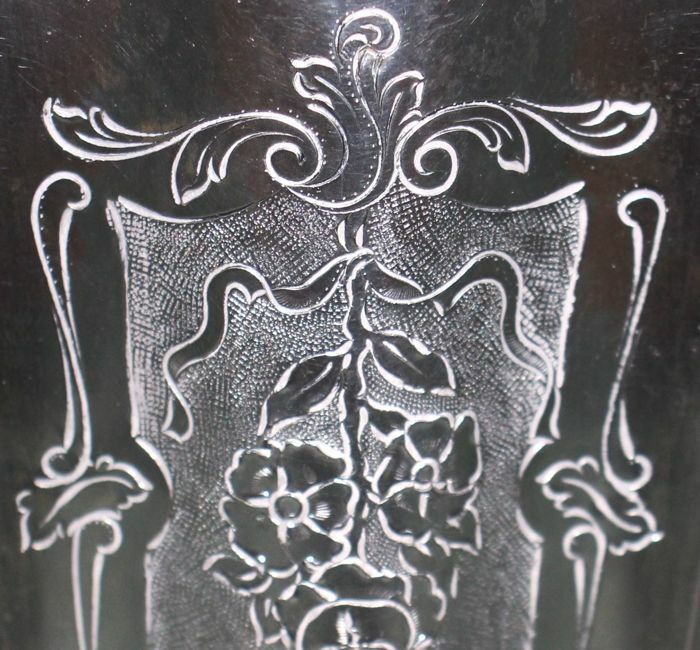 Worked completely by hand with engravings of heraldic coats of arms.